Dr. Reyes attended Emory University in Atlanta, Georgia where she earned an undergraduate degree in psychology. She received her medical degree from Tufts University School of Medicine in Boston, Massachusetts and returned to Dallas to complete her residency at Parkland Memorial Hospital at the University of Texas Southwestern Medical Center. 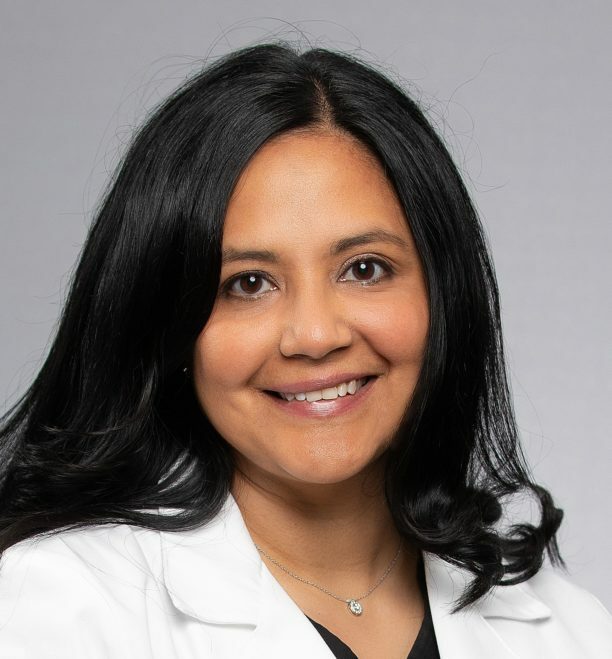 During her residency at Parkland, Dr. Reyes trained with the other physicians at Advanced Women’s Healthcare and looks forward to working with this amazing team again at Medical City Dallas. Dr. Reyes has practiced in the Dallas area since 2004 and previously practiced at Comprehensive OB/GYN in McKinney, Texas. Her clinical interests include preventive care, general and high-risk obstetrics, family planning/contraception, and bioidentical hormone replacement therapy. In addition, she likes helping women through the challenges of menopause and sexual dysfunction. Dr. Reyes is proficient at minimally invasive surgery, including the use of the da Vinci robot and offers in office procedures such as Essure and endometrial ablations. Board certified and fluent in Spanish, Dr. Reyes is a member of the American Medical Association, Texas Medical Association and Dallas County Medical Society. She is also a Fellow of the American College of Obstetricians and Gynecologists. Dr. Maria T. Reyes is accepting new patients and looks forward to her continued partnership with patients to work towards healthy lives and healthy families. Advanced Women’s Healthcare is a Dallas all-female Obstetrics & Gynecology practice dedicated to providing compassionate and quality healthcare to its patients. Services include low and high-risk pregnancy care, minimally invasive and major surgery, fertility and infertility concerns, incontinence management, and comprehensive gynecological care. Their team of trusted doctors and nurses provide outstanding healthcare and extensive patient resources, all in a state-of-the-art facility.